I took these last three (today). 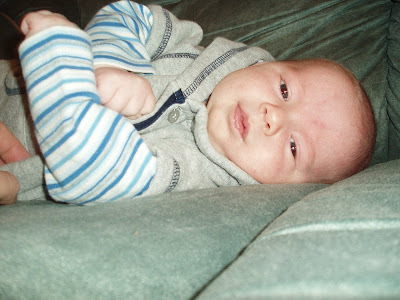 Cole is 6 weeks and 4 days old today. He has the baby acne going on right now, but he is still absolutely adorable! This is my niece (who will be 14 in April). She has one mighty voice! She was singing this for a talent show at her school, and she won! I posted another video of her singing, and you can see it here. I am a proud auntie! When I my generation was younger, we didn't have the technology like kids do now. We looked in encyclopedias, and went to the library for research. Now kids are using computers and the Internet for everything from talking with new friends living halfway across the world, to playing their favorite online games and researching subjects for homework. The Internet is an endless tool in the hands of our kids. So, we need to make their online world safe for them, because there are so many lurking dangers online. I have a difficult time allowing my son to just sit down and work on the net. To help families facing this dilemma, Norton, a trusted provider of Internet safety products, has developed Norton Online Family. Unlike most products that simply block or monitor kids' Internet activities, Norton Online Family is an online service that connects parents to kids' online lives. Real-time Messaging: Built-in messaging allows parents to have real-time discussions with children about activities and better understand their intentions when visiting a Web site.True Transparency: Children are able to view the "house rules" they established with parents at any time and are notified when Norton Online Family is active, so there is no "stealth" mode. Norton and Mom Central have made it possible to participate in a free Sneak Preview of Norton Online Family. You can sign-up for a sneak peak at the Norton Online Family application just click HERE. I signed up for this service, and I am excited to see how it monitors the online usage in our home. I know that I can't protect the online threats 100%, but I am thankful that Norton has created a service to help protect our children's usage and activity. Ever since I was little, I have wanted to go to a Disney On Ice show! I love watching Ice Skating, and I think that watching Disney Characters put on a show~ on ice~ would be so entertaining! Now that I have young children, it is one wish that we can go to a Disney On Ice show as a family. Feld Entertainment's Disney On Ice live touring performances feature iconic Disney stories, characters, and music, providing audiences with a high quality, fun experience the whole family can enjoy together. Interactive Disney On Ice shows feature exciting action, romance, comedy, athletic world-class skating, beloved Disney characters, and favorite Disney songs to which kids can sing and dance along. Their rich colors, costumes, bigger than life atmosphere, music, lighting, choreography and humor all contribute to making the experience one that builds childhood and family memories for years to come. For these reasons, Mom Central has partnered with Disney On Ice to provide a special family ticket package offer. Offer #1: Get 4 tickets for just $44 by entering the code "MOM" at select ticketing channels*. Offer good on all performances, minimum purchase of 4 tickets required; additional tickets above 4 can be purchased at $11 each. Offer not valid on Gold Circle Seating, Front Row and VIP seating or can be combined with other offers. Other restrictions may apply. To learn more about Disney On Ice shows touring the country this year, visit Disney On Ice and visit TicketMaster to use the 4 tickets for $44 code, MOM. Please let all your friends and family know about this special offer, and give them the MOM code. Everyone can go on www.disneyonice.com and type your zip code to find the shows and purchase tickets online with the code. 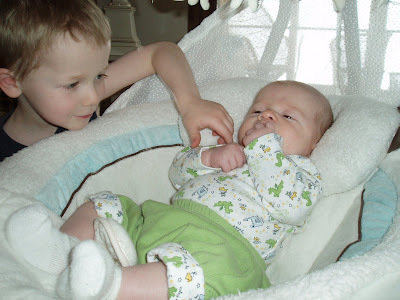 My kids really enjoy doing projects, crafts, and hands-on activities! I was excited to have my kids put their energy into the project from ColorMe Company! I got the Mountain Sleigh Ride pillowcase, as well as a greeting card. 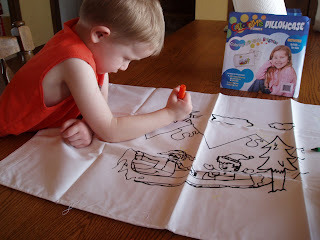 We got a quality, 100% cotton, standard size pillow case, crayons, fabric markers, the directions on how to set the color. We also got a greeting card that matched the pillowcase. (So this would make a great gift to give someone...pillowcase~hand colored, with a matching greeting card). 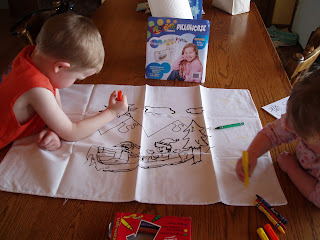 Caleb and Madelyn really enjoyed coloring the kid-drawn scene on the pillowcase. It was thrilling to see Caleb take his time, and color in the lines so carefully. Madelyn used the crayons on the pillowcase, and she liked making a lot of circles and lines. ColorMe Company is designed to have children express their creativity while making their projects/gifts personalized with their own uniqueness. ColorMe Company founder, Paul Marciano, was inspired to start the company because his card to his goddaughter was re-created with her drawings and designs. He wanted to create cards that kids can create their own fun, and unique greeting cards. He brought his business to the next level by including in t-shirts, pillowcases and Christmas stockings. He invited children to submit fun, creative designs that would be featured on cards and products. Soon talented young artists sent Paul artwork featuring whimsical characters including “Beach Girl,” horses, and the USA map, as well as secular Christmas and Nativity scenes and Hanukkah images. All ColorMe products would make great gifts, projects to work on while traveling, birthday favors, or a fun activity to do with a group of kids over (like a slumber party). Built on the simple principle that “Giving is Good,” 10% of ColorMe Company's gross proceeds are donated to children’s charities that you choose through their Charity Choice Program. ColorMe Company offers products that spark the creativity in your children. I recommend their products. As you can see, my kids had a lot of fun with their hand-colored pillowcase. Last night, we went to Nathaniel's yearly choir concert. There are so many children in his school that they have separate nights for each grade to perform their concert. There is one main choir teacher, and she has a helper. It was fun to see all the kids. 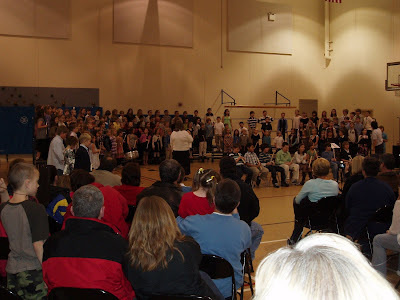 I have to give props to his choir teacher, because she had kids playing different style drums, all of them playing recorders, bells, egg shakers and keeping them all in order. They sang 5 individual songs, and a patriotic medley of 7 songs. I think my favorite was the train song. This was a song of hand actions, singing in rounds, and leaving out words on beats (like BINGO). 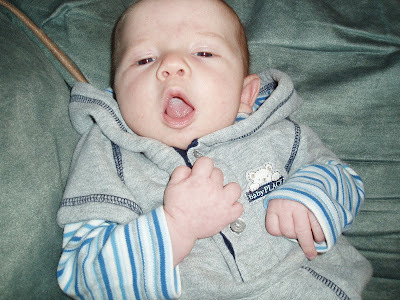 When the kids were starting to leave out words to the song, and just doing the hand actions, Caleb started noticing something was different. He said, "What happened to their voices? Why can't they sing?" Of coarse it was quiet, and those of us around Caleb had to laugh. It was so comical! I thought it was so funny that I laughed for some time after that comment~ just thinking about it. It was a great concert, but Caleb and Maddie were quite restless. Maddie couldn't keep her hands off of the lady's coat in front of us on the bleachers. She had fur lining....it was funny. Electronic Arts has some great games! Our family spends a lot of time together playing games. We go back and forth between board games, card games, and video games. We have so much fun, create a lot of fun memories, and we are careful with our spending when we can budget in the cost of games. We have spent numerous hours on our new game for the Wii: Monopoly! It is so much fun to see the classic board game (from my childhood) on a video game! Mr. Money Bags: a.k.a. Milton Bradley walks around the board as you play, and interacts with you. He gives you some direction, and encourages you. 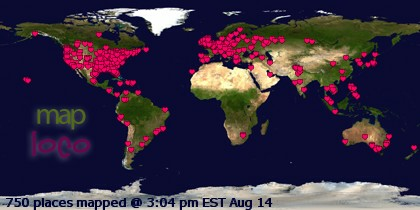 You can play on the classic board, or boards from the all new Here And Now~ World Edition boards. The boards are really fun, too! It is fun to read the names they have for the properties. We have a lot of fun trading and selling our properties for each other. 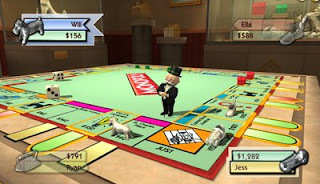 With the Monopoly Wii game, you can auction properties with just a flick of your wrist. We have fun bringing the cost up with the auctions. Up to four players can take part in the fun, and there are mini games to play as well. As you play the boards, you fill up your passport to unlock new and never-before-seen Monopoly boards. One of our favorites is the Cheese board. Another bonus to the Wii Monopoly game is the Richest Edition. This is fun when we don't have time for a 2 hour game of Monopoly boarding game. The Richest Edition is completely different. The aim of the game is to acquire the most assets at the end of a certain number of rounds. It is a matter of mini gaming against your opponents, and the luck of the dice. The winner of the mini game gets to chose the dice roll they want. The number you pick determines the amount of tokens you get placed randomly around the board. Super fun games for the family with the Monopoly Wii game! Nerf N' Strike is a shooting game new for the Wii. This game is geared toward ages 10 and above, but I think that younger kids can play, as well. I know my (almost) 4 year old could play, too. There is a lot of repetitious shooting, and the Nerf gun is fun for kids to shoot with. Bundled with every game comes the revolutionary Switch shot ex-3 which transforms between a live Nerf blaster (with darts for shooting, as well) and a Wii remote shooting peripheral for the game. Explore a top-secret NERF facility and unravel the mystery of the unknown threat that awaits. 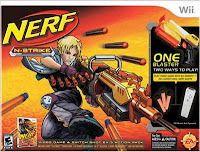 Play with over 25 NERF Blasters including the Maverick REV-6, Vulcan ebf-25, longshot cs-6, and many never seen before! Go head to head with up to 4 players using additional Wii Remotes and switch shot blasters. "Littlest Pet Shop": Garden~ puts you right in the middle of all the fun in the Littlest Pet Shop world. Have your pet explore four separate environments in the Littlest Pet Shop world, where you can care for and play with your pets in a variety of 16 mini-games. The more time you spend with your pet having fun, the more great stuff you earn for your pet shop, including new 20 pets (including brand new Fanciest, Cuddliest, Sportiest, and Chilliest pets), over 100 play sets & accessories, and more. Choose from tons of unique pet accessories like scarves, hats, glasses, and more! Play with your pets in four unique pet-sized worlds! Plus you'll manage your Pet Shop through the hopping Pet Plaza. The mini games offer a number of difficulty levels for each game, and you can replay them over and over again. The pets interact with the player and offer choices of things to do. The game starts by giving the player tasks to complete. Everything is simple and well explained and the tasks teach the player about how to play the game. As you play games you earn kibble (money) which allows you to buy more pets and play sets that the pets can play on. As you expand your pet shop more games become unlocked and more 'worlds' unlock for you to play in. You can celebrate pet birthdays and other events by planning festive Littlest Pet Shop-style parties with the Evite Party Planner. Would you like to win a game from Electronic Arts (EA)? 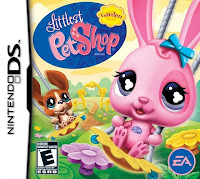 They have offered to giveaway the Littlest Pet Shop (Garden) game for the DS! (SRP $29.95) This contest is open to all readers living in the Continental United States. To get your first entry, go to Electronic Arts website, and find a game that looks like a blast to play and own! Come tell us about it! Then, you may come back each day and enter (again) after you do the first rule, just tweet about this giveaway and leave the url in your comment AND/OR Click here to see how you can earn even more extra credits to win!! Click here to see guidelines and the official rules. Contest will end on March 11th, 2009 at 11:59 PM CST. GOOD LUCK! recommend Dei Fratelli pasta sauce. The ingredients are natural, sauce is great tasting, and it's good for you! 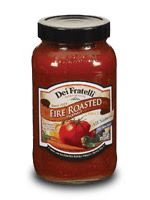 Dei Fratelli's products are so flavorful! Their website offers several great recipes to try! Dei Fratelli has a great selection of salsas. The salsas are made with all natural ingredients, too! The black bean and corn salsa has these ingredients: Tomatoes, Roasted Corn, Black Beans, Peppers, Roasted Tomatoes, Vinegar, Sea Salt, Spices, Cilantro, Garlic, Natural Flavor Citric Acid. Such a great blend of good, wholesome ingredients! I think what I like best about Dei Fratelli products is, that I can be confident that I am putting good things into my mouth, and not anything that could possibly be dangerous for me or my health! 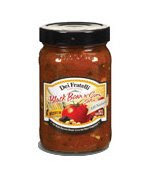 Along with the pasta sauces and salsas, Dei Fratelli also has Tomatoes, Juices, Sauerkraut, and low sodium/no salt added products. Dei Fratelli is a fourth generation, family-owned company. Their tomato products are grown from seedlings that they cultivate themselves. I have looked for Dei Fratelli's great products in the stores, and I haven't seen them sold there yet. I do know that they can be purchased online here. 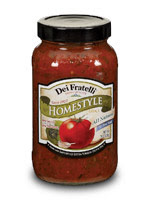 Dei Fratelli makes great, whole-some products for your family, from theirs. You can feel confident in their products, because you can read the ingredients, and feel good about serving them to your children. Ringling Brothers and Barnum & Bailey = Family Traditions! I love the circus! The animals (especially the tigers), the acrobats, the clowns, ~is non-stop action. It is such a fun place to go for great, live entertainment for the whole family. I was fortunate to attend one Ringling Bros. and Barnum & Bailey show when I was younger. It was a fantastic show~ like no other! Since then, I have been to local circus shows. The local shows are great, but they are no comparison to The GREATEST SHOW ON EARTH! According to the national survey that Mom Central did last year, found that 88% of Moms regarded Ringling Bros. as a "not to be missed" childhood experience, and, from the enthusiastic feedback they received, they wanted to provide us with another special opportunity to see one of the three incredible, entirely different Ringling Bros. productions with our family. The Mom Central team recently had the pleasure of checking out the newest production from Ringling Bros. and Barnum & Bailey in Orlando, FL and they were blown away by the energy, music, dancing and really outstanding illusions found in ZING ZANG ZOOM. The show features magical Zingmaster Alex Ramon, a grand illusionist. Offer #1: Get 4 tickets for just $44 by entering the code "MOM" at select ticketing channels**. Offer good on all performances, minimum purchase of 4 tickets required; additional tickets above 4 can be purchased at $11 each. Offer not valid on Circus Celebrity Seating, Front Row and VIP seating or combinable with other offers. Other Restrictions May Apply. To see which Ringling Bros. tour is coming to a town near you, visit Ringling.com. And visit Ticketmaster to use the 4 tickets for $44 code, MOM. Please spread the MOM code around to friends and family near those cities. They can simply go on www.ringling.com and type in their zip code to find the shows and purchase tickets online with the code. To help start the family traditions early, the Baby’s First Circus program allows babies to receive a free ticket voucher that can be exchanged for a free ticket to any Ringling Bros. and Barnum & Bailey performance, anytime, anywhere. No expiration date! 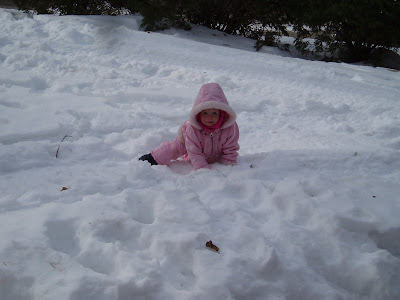 A few weeks ago, Terry brought the kids (Caleb and Madelyn) outdoors to play in the snow. He was home from work early on a Friday. Since it is hard for me to get outdoors with them, it was great that Terry could play in the snow with them. 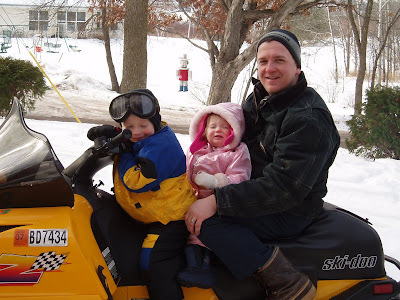 He took them out for a spin on the snowmobile. Caleb and Madelyn had a blast! 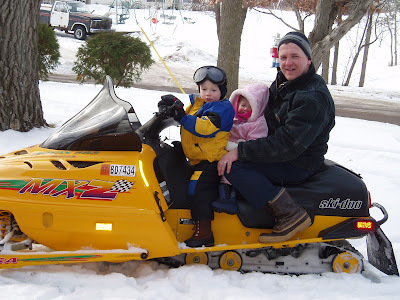 This was Madelyn's first snowmobile ride. Caleb went with Daddy last year, so it was fun to see the two of them on there with him. Living on the lake is fun in all seasons! Terry likes having a wide and open area to ride! 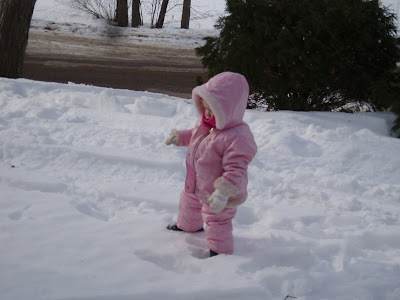 Madelyn loves being out in the snow. She had a hard time walking in it, though. It was quite comical. I think she looks so cute~ a pink marshmallow! Here are a few pictures of Cole. 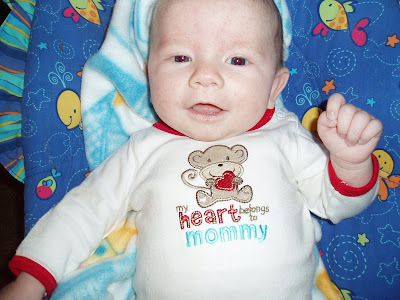 He is 5 weeks and 3 days old here. 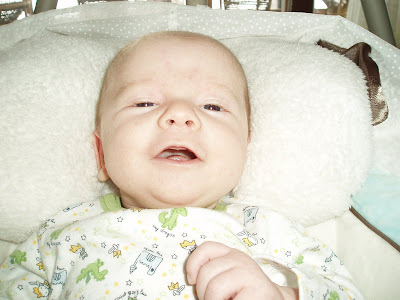 He is smiling a lot, and he just started a few giggles. He is starting to Coo a bit, too. It is so precious! I am looking forward to the cooing and giggling! I love his little mouth. He is just so cute! Caleb wanted me to take his picture, too. He scratched himself in the face this morning at breakfast. Can you guess what got him? His fork! Owie! Poor guy! He loves wearing shorts everyday~ lately. Fortunately we are home, so he can wear them indoors. He reminds me of spring and summer! We can't wait for the weather to change! Hit Entertainment's new releases (plus 6 giveaways)! 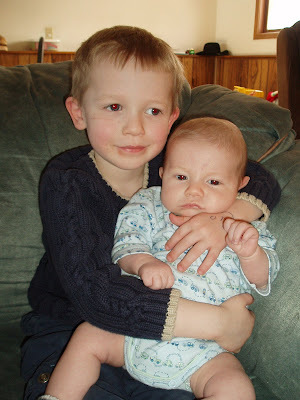 My toddler and preschooler loves Thomas the Tank engine. He is quite a hit with most children between the ages of 2 and 8. My kids really enjoyed the new Thomas release: Railway Friends which hit the shelves on February 10th. We enjoyed watching Railway Friends, which is filled with messages of friendship, and helping each other. Thomas & Friends always have great stories that display good morals and lessons that are great for kids to learn. We enjoy talking about how Thomas and the other trains handled different situations and problems. It is fun to peek into my child's thoughts with our discussions. Best Friends-Thomas is given a job that Percy REALLY wanted, without Percy even being considered. Thomas feels guilty and doesn’t know how to tell his friend and so he avoids him and Percy is hurt more by the avoidance. Thomas comes up with a way to help his friend feel better, and everyone is happy. The Party Surprise- Colin, a loading crane, is sad because he can’t go to the party that the engines go to every year. His friend Freddie, an engine, decides to bring the party to Colin but totally messes up in the process by not telling his boss that he’s changing everyone’s plans. In the end he manages to make things right and Colin enjoys his first party. Gordon Takes a Shortcut- Gordon and Stanley race to pick up important passengers. Gordon wants to get there first, and takes a shortcut that makes him more and more lost along the way. He refuses each offer for help. Then he accidentally creates a situation that is dangerous for his friend Stanley and rushes to make things right by asking for help each step along the way. Thomas Puts the Brakes On- Thomas is entrusted with a load of valuable cargo, but his brakes are squeaking! Thomas refuses a generous offer from a his friend Stanley to help him pull his cargo safely. Along the way he keeps losing parts of his cargo as he is unable to slow down. With the help of three friends, Thomas helps recover the lost cargo and Stanley makes sure that it gets to the right destination. Saved You!- Thomas tries to help his friends when they don’t really need help at all and in the process causes a lot of problems. Thomas believes that he has the time to help at first, but once he causes the problems he no longer has time to help fix them. After making too many of these mistakes he realizes what he has to do, and he goes back to fix all of his mistakes. When he is done he sees a friend that truly needs help and takes the time to ask before jumping in to help, and is finally able to save the day for real. Excellent Emily- After a terrible storm, Emily is one of the few engines that hasn’t broken down. Sir Topham Hatt praises her and calls her “Excellent Emily”. Her ego is so inflated that she ignores the advice of her friend Murdoch and runs into problem after problem along the way. Finally Murdoch saves her, and she takes his advice. Along the way she takes the advice of others that know more than her, and arrives just in time. This time when Sir Topham Hatt praises her she reacts very differently and shares the praise humbly. Railway Friends is an all-new version of what we know as Thomas! The people and trains are now animated~ with moving mouths when they speak. It definitely improves the older version (in my opinion). The scenery is always fun to see and the shots are realistic looking. My husband loves to model trains, and so he enjoys the Thomas shows, too. Roary The Racing Car: My children love Roary, and always look forward to his episodes after the HIT shows. Laying Down the Track Game: This little puzzle game presents you with different scenarios where you have to choose from four different track pieces in order to direct Thomas across the terrain and into a tunnel. There are quite a few variations of the game. The game can be played with a mouse on the PC, or with the TV remote. Name the Train Game: This game shows different trains, fading up gradually from black and encouraging you to guess each train’s name. This name is read out loud and displayed on the screen. It is not an interactive game which makes it easier for younger children to play. Because the name is shown in text as well as the audio, it’s great for children with hearing impairments. Trailers: The trailers that play at the beginning of this DVD are also available under the Special Features menu. Shaun in Shaun The Sheep: Off The Baa! 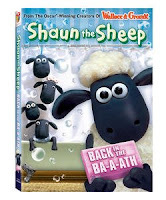 was a fun DVD for us to review, and we were very excited to see the release of Shaun the Sheep: Back in the Ba-a-ath! From The Academy Award®-Winning Creators Of Wallace & Gromit™, Shaun The Sheep™ Returns For More Wacky Animal Antics. Shaun the Sheep keeps us laughing! He has such funny antics and ideas! I actually think this movie was even funnier than the first DVD! Shaun the Sheep: Back in the Ba-a-ath came out on DVD February 10, and it is from Lionsgate And HIT Entertainment. Shape Up With Shaun– Shaun puts Shirley the Sheep, on an exercise regime. Bathtime– Shaun and the flock go on a mission to try and get hot water for their sheep dip. Fetching– Bitzer, distracted by a fetching female dog, misses the flock’s rampage through the farmhouse, so it’s up to Shaun to intervene. Take Away– The sheep go on a mission to the local pizzeria disguised as a humanbeing. Still Life– The Farmer takes up oil painting but during a break, the flock investigates. Scrumping– The flock begs for apples from the Naughty Pigs’ yard, but after severalfailed attempts, a war breaks out. Stick With Me– Bitzer glues the Farmer’s broken glasses back together, but when the flock gets its hooves on the tube of glue, things get very sticky! The Kite– A kite blows into the field and gets stuck in a tree, so it’s up to Shaun and the flock to get it down. Since spring is right around the corner, and we are longing for the seasons to change...it was fun watching the fun episodes on the new Hit Entertainment release: Here Comes Spring! which features Thomas & Friends, Barney and Friends, Bob the Builder, and Fireman Sam, Fifi and the Flowertots and Kipper. My kids love this DVD so much, I am afraid they will wear it out! The Here Comes Spring! DVD is available on Amazon released on February 10, 2009. Here Comes Spring features a colorful collection of six cheery, spring-themed episodes starring favorite preschool characters! Barney, Bob the Builder, Thomas & Friends and Fifi have come to celebrate during this special time of year. Jump into the fun and enjoy the outdoors with Bob the Builder and Fireman Sam, or create magnificent gardens with Barney and Fifi. Get ready to cheer because Spring is here! Thomas & Friends- In "Thomas Sets Sail," Thomas is asked to collect the mayor's new sailboat and deliver it to the harbor. But strong winds send the affable engine on a wild and disastrous ride around the island. Barney and Friends- In "The Big Garden," Barney teaches his friends how to grow fruits and vegetables in a garden. Fifi and the Flowertots- In "Flowertot Rainbow," Fifi's plan to wow Violet with a colorful display that goes awry when she forgets to water her flowers. What is she going to give Violet now? Bob the Builder- In "Roley's Flat Garden," Mr. Bentley is designing a new botanical garden. Join Bob and Roley as they work together to get the job done! Fireman Sam- In "Fit for Nothing," The firefighters are training hard to appear in the Wales Fittest Firefighters calendar. It's a competition to see just who is the fittest! Kipper- In "The Butterfly," Kipper finds a butterfly who loves the color purple. He traps it in a jam jar but realizes that it shouldn't be kept captive and eventually sets it free. Would you like to enter for a chance to win a fun DVD for your kids? I have 3 of each of Shaun the Sheep: Back in the Ba-ath and Thomas & Friends: Railway Friends to giveaway~ So there will be 6 winners in all! This contest is open to all readers living in the Continental United States. To get your first entry, tell me what your favorite part of spring is! Also, in your comment, let me know which movie you would like to win! Then, you may come back each day and enter (again) after you do the first rule, just tweet about this giveaway and leave the url in your comment AND/OR Click here to see how you can earn even more extra credits to win!! Click here to see guidelines and the official rules. Contest will end on March 5th, 2009 at 11:59 PM CST. GOOD LUCK! For as long as I can remember, Johnson's baby products have been around. Actually, they have been around even longer than me! They are celebrating 50 years! My parents are celebrating 51 years of marriage next month. That is a long time! When I think of the basic necessities for my baby and toddlers, Johnson's bath products are on the list. I love the way that they clean, the way they smell, and the way that they are gentle on my children's skin. I was asked to review a few of Johnson's bath products on behalf of Mom Central and Johnson’s. With three young children, I was happy to partake in this review! Plus, Johnson's is one of our favorite bath time products! I love the new Foaming Wash that Johnson's came out with! We use the regular bath wash, but my kids have so much fun with the foaming wash. They like to pump the soap into their hands and wash themselves. I think that the foaming wash is easier for kids to be more conservative with how much soap they use. What I really like about the Foaming Wash, is it is in an easy, convenient pump-and-foam form. The bottle is specially designed to allows moms and caregivers the flexibility of using only one hand to dispense the product while also providing substantial lather for cleansing babies. This works great when I give Cole his bath~ he is my newborn! It is so hard to hold on to new babies anyway, and bath time can be a bit challenging. I feel much safer with the pump, than trying to hold onto my newborn and putting soap on a cloth. Johnson's Baby Bubble Bath & Wash is another great product! I love the scent of it! I love that the Johnson's Baby Bubble Bath & Wash is soap-free, dye-free, hypoallergenic, dermatologist and pediatrician tested, and is gentle enough for the newest babies. The bubbles from this product are bigger, and the kids love playing in the bath water! You can find these products in your local retail and grocery stores~ available January 2009. 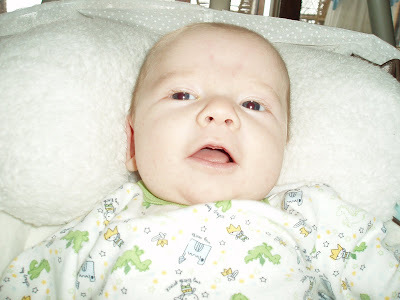 You can upload pictures and videos of your babies and see videos of other babies at Johnson's Baby Channel on You Tube. It is a great resource for learning and sharing with others about bath time, nap time, and more! It is a great place to "show off" your baby! Happy 50th Anniversary Johnson's! Here's to another 50 years! When I was a child, one of my favorite toys were my Fisher-Price sets. I remember spending hours playing with the school house, the farm set, the camping set, and the towns with all the people. My parent's still have the Fisher-Price sets, and I hope to "inherit" them someday. I am happy to let you know that Fisher-Price is celebrating 50 Years! For the brand’s 50th birthday, officially marked on March 21, Fisher-Price is planning a year-long celebration including commemorative play sets. Do you remember the Fisher-Price School house? You opened the side and could peek into the school room. The roof was magnetic for your numbers and letters, and you had a built in chalk board. There were green desks, swing set and a merry-go-round. 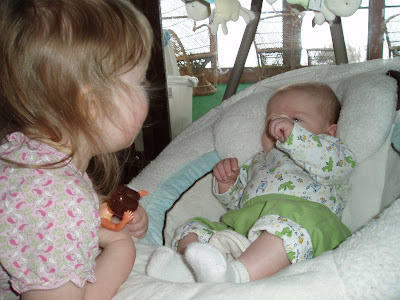 My kids have so much fun with their Fisher-Price Play 'n Go sets! They like that they can store all their people/props in their own tin. These sets are easy to clean up and store. I like that the pieces are big enough so there is no worry of choking. I think the dog and the merry-go-round is my favorite. Another thing I like, is my children can use their imagination with play, as I did when I was younger. They play very well together when they each have their own set. They also like to visit each other with their play people and animals. Would you like to win one of these commemorative play sets? Fisher-Price has offered to giveaway one set to a lucky SassyFrazz reader! This contest is open to all readers living in the Continental United States. To get your first entry, go to the Fisher-Price website and find another toy that you think is great! Also, in your comment, let me know which play set you would like to win! Then, you may come back each day and enter (again) after you do the first rule, just tweet about this giveaway and leave the url in your comment AND/OR Click here to see how you can earn even more extra credits to win!! Click here to see guidelines and the official rules. Contest will end on March 5th, 2009 at 11:59 PM CST. GOOD LUCK! A Little Help From My Friends – When Wubbzy wants to borrow a wrench from Widget to fix his bike, Widget takes over the whole operation. Wubbzy is tired of needing help from his friends – they treat him like a little kid. He decides to cook them a dinner all by himself. Can Wubbzy pull off the dinner with no help at all? A Clean Sweep – It’s house-cleaning time, and Wubbzy has plenty of chores to do but he’s having too much fun with his kickity-kick ball to clean the house or do anything else. With the mess piling up, Wubbzy looses his ball. Hopefully Wubbzy, Walden and Widget can restore order. Mr. Cool – Walden wants to go the Wuzzleburg Boogie Bash, but he thinks you have to be cool to go. Walden tries to be cool but realizes everyone likes him just the way he is. Wubbzy in the Middle – When Walden needs to clean up his library, Widget brings in a new machine, the Handy Helper 3000. The machine malfunctions and tosses the books all over the place. Walden and Widget will no longer talk to each other and now Wubbzy is caught in the middle. Gidget the Super-Robot – Widget builds a mirror-image robot of herself, called Gidget, which can do anything she can. Wubbzy and Walden start playing with the robot more than with her! Will Gidget the Super-Robot take over Widget’s life? Broken Record – Walden is handing out trophies to everyone who qualifies for the Wuzzleburg Book of Records. Wubbzy decides that he wants to break a record and collect a trophy but each time he tries someone needs his help. Which record will Wubbzy break? Widget gets the Blooey Blues – Widget’s new invention, the Happy Hopper, fails and she starts turning blue - she’s got the Blooey Blues. How can she save Wubbzy if she’s got the blues? 2 Bonus Episodes, Bonus Music Video, Kooky Kostume Game, Coloring Pages, Printable Activities and Sneak Peeks. Wubbzy is a fun, lovable, curious little guy who just likes to play, play, play with his friends in the wild and wacky town of Wuzzleburg. He’s charmed young children, been a smash hit online, wowed an array of top licensees and otherwise won over anyone who’s met the most famous, lovable resident of Wuzzleburg. Now, kids can watch Wubbzy and his pals discover the importance of friendship, cooperation, sharing and teamwork in the Emmy Award-winning series that provides essential, wholesome life lessons while keeping the kid’s laughing. “Wow! Wow! Wubbzy!” has been a hit with pre-schoolers since its August 2006 premiere on Nick Jr. in the U.S. and now channels in more than 50 markets worldwide. Currently, “Wow! Wow! Wubbzy!” airs nearly 40 times a week on Nick Jr. and Noggin. Wow! Wow! Wubbzy's 'A Little Help from my Friends' can be purchased from Amazon, or found in your local stores. You can also enter for your chance to win this DVD! This contest is open to all readers living in the Continental United States. To get your first entry, tell me something you and your children like to do together. Then, you may come back each day and enter (again) after you do the first rule, just tweet about this giveaway and leave the url in your comment AND/OR Click here to see how you can earn even more extra credits to win!! Click here to see guidelines and the official rules. Contest will end on March 5th, 2009 at 11:59 PM CST. GOOD LUCK! Hello all my faithful readers! Thank you so much for sticking with me. I am so sorry that I haven't been doing too much personal blogging lately. I can give you all an update this evening, so I am jumping on the opportunity. Being a new mom (this time around) is a bit more challenging. Having 4 children can sure be tiring, and demanding. I love being a mom, and I wouldn't trade my children (or position in life) for anything. I do question my sanity some days, though. Some days I feel so much older than I am, and I really do think that I am getting wrinkles. I have a hard time deciding if they are wrinkles or tired marks. My son Caleb has been my big-time work load lately. 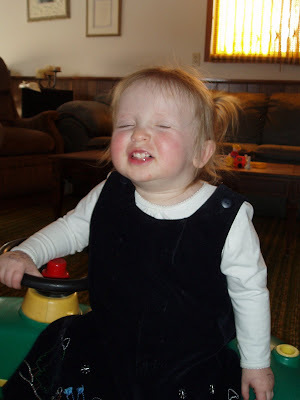 Age 3, almost 4, is a patience-trying time. He has so much energy, and doesn't seem to listen very well. Quite honestly, I think he purposely ignores me just to get my goat. There are days that I just want to be a child again so I can go on time out. Why is it that all the things we "had" to do when we were younger, we enjoy and long for as an adult? I would love to HAVE to take a nap...I would love to HAVE to play outside, and I would love to HAVE to be on time out~ or sent to my room!! Seriously, if we could have looked into our future, maybe we would have enjoyed our time outs and free play more as children. Anyway, updating on my children. I know this post could be about 10-15 pages long, so I will try to summarize a bit. Nathaniel is doing OK. I had a report on his grades this last quarter, and all of his grades have gone down. I am not totally sure why this is happening. One of his classes he didn't turn an assignment in, and the result was a D+. Needless to say, we weren't happy about his grades. I fear that he is just not liking school, the teacher he has this year, and longs to be homeschooled again. I have a hard time with the teacher he has this year (and I won't get into that now), but I just have a feeling we may be taking him back out of public school and homeschooling him again. My husband thinks that this is the best option, but my fear is that Nathaniel and I will suffer in our relationship as we did in the past. Please be in prayer with me over this decision. I could say so much more about this, but I know my post is getting so long already. Nathaniel is a great helper, and he is growing up so fast. He loves to learn facts, and he has such a good head on his shoulders. Caleb is still very funny (comical) but his actions have been so naughty, too! He is at a difficult age. He wants to be independent, wants to grow up, wants to bully/control his sister, and fights with his brother. Most days he is like a ping pong ball bouncing off of everything! I think he really needs to get outdoors to wear off some of his bottled energy. I think he is also feeling the need to have quality time, and my husband and I know he needs more time with us. I think he is having a bit of a hard time adjusting to Cole's entrance into the family. I try so hard to make sure he knows he is valued and loved. 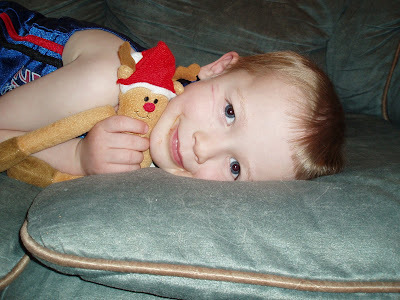 Potty training is good during the day, but he has been having accidents at night time. We need to buy some heavier duty pull-ups for nighttime. Madelyn is talking a lot more, and she is still as feisty as ever. She has learned to point her finger at us and tell us "NO" in a stern voice. While she does this, she gives you a glaring look and scowls at you. NO, it isn't very fun at all. At first it was kind of cute, and now you just get upset with her. She is our strong-willed child. She is also very sweet and loving, too. She loves to be cuddled, gives lots of hugs and kisses, and is our little co-sleeper. She is also cutting a ton of teeth right now, which could be reason for a bit of her mood. 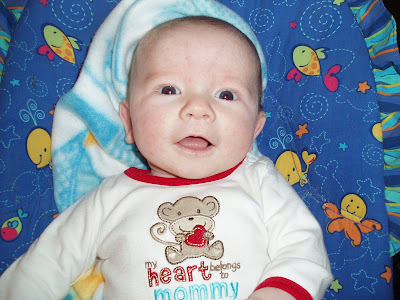 Cole is growing bigger everyday, and I can't believe he is 5 weeks old already! He is getting cuter everyday, too. He has lost some of his hair on the top of his head, but his hair is still darker. His sores have healed up nice and the blood pooling is going down. Still has a lot to go down, but it is improving. Right now he is a bit congested. That is something new. I hope it doesn't turn into anything. I don't want to isolate him from everyone, but I really don't want him catching anything nasty, either. So, I hope he gets healthy, and it doesn't turn into anything worse. 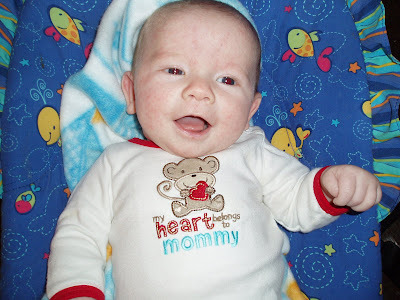 He is in the 0-3 month clothes now. 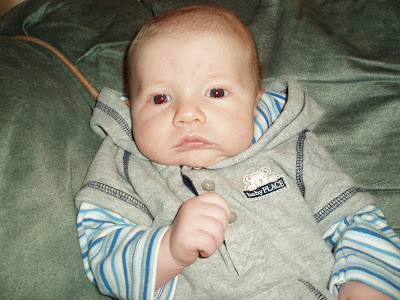 I will try to post pictures of all my kids soon. This weekend we had some good times! Friday night was my favorite night of the month~ Ladies Night Out! I always look forward to this great night of friends, laughter, food, games....and just pure fun and therapy for the soul! Thank you friends for the great time! Saturday was my monthly stamp club. I missed last month (that was sad) so it was great to be back enjoying my hobby. It was fun showing off Cole, too. We had some yummy treats, chocolate, and made some great cards. On my way home, Terry called me and said that we were going out for dinner. My wonderful MIL sent us a package of Valentine's Love. She sent us money to go out for dinner, cards and gifts for the kids. Thank you Cheryl! You are so thoughtful and giving! It was a fun time. Then, Saturday night, we had some friends over to play games, and have dinner together. It was great to spend time with them. Sunday, we went to church~ heard a great sermon, visited with friends, and then had a relaxing afternoon. It was a great weekend. I just love the shoes that See Kai Run makes! They have such great quality shoes, and they are super adorable, too! They have a great selection of new Spring shoes! I am so looking forward to spring and summer, and Madelyn's new Dorothy shoes from See Kai Run will be worn all over the place. When I got the package in the mail and opened it up, Madelyn was standing right there asking for her shoes. She is a shoe lover, and she had to put them on right away. She wore them all day, and smiled the whole time. Not only are See Kai Run shoes adorable, they are made so well for little feet. See Kai Run shoes have very flexible soles and the leather lining (sheepskin) is breathable and durable. The shoes have a padded collar that adds comfort and helps the shoes stay on little developing feet. These shoes are meant to be worn indoors and out, and made to last! See Kai Run had an amazing charitable campaign recently~See Kai Run customers generated a donation of 9,700 Pairs of Shoes through November/December 2008 “Share A Pair” Matching Event! See Kai Run made sure that for every pair of shoes sold during November and December 2008 at its retail Web site (www.seekairun.com), a pair also went to a child in need. As a result of the matching event which ended December 31, 2008, See Kai Run, has donated over 9,700 pairs of shoes to Soles4Souls. Soles4Souls is an international charity dedicated to providing footwear to disadvantaged people around the world. With this donation, See Kai Run will have shared a total of nearly 34,000 pairs of shoes to children who need them the most. “Share A Pair” is part of See Kai Run’s overall charitable giving campaign, which focuses on international, national, and local charities for children. "Although 2009 will be a difficult year for many of us, we can be grateful that we are able to purchase a comfortable pair of shoes for our own children,” says founder Cause Haun. “We are so happy that through their purchases at seekairun.com, parents across North America were also able to provide a pair of shoes to a deserving child in another part of the world. As always, Soles4Souls makes it incredibly easy to help and we are grateful for that." See Kai Run and Smaller promote healthy development of babies' and children's feet with their ultra-flexible soles, soft leather and wide toe box. Our footwear meets the American Podiatric Medical Association's rigorous standards for foot health and functionality and has been awarded the APMA's prestigious Seal of Acceptance. Retail price starts at $32. See Kai Run is a family-owned and operated business located outside of Seattle, Washington. The idea was born when owner Cause Haun was on a quest for the perfect first pair of shoes for her son, Kai. Unable to find shoes in fun styles that still promoted the healthy development of little feet, Cause and her husband created their own line of shoes that satisfied all of these needs. In just four years, See Kai Run has seen sales expand from a few boutiques, mostly in the Seattle area, to stores all around the country and worldwide. Please visit SeeKaiRun for additional information. Would you like to win a pair of See Kai Run's shoes (from the new Spring Line)? See Kai Run has offered to sponsor a giveaway to you lucky readers! This contest is open to all readers living in the Continental United States. To get your first entry, go to See Kai Run's website, and find the pair that you would love to win (from the new spring collection). Then, you may come back each day and enter (again) after you do the first rule, just tweet about this giveaway and leave the url in your comment AND/OR Click here to see how you can earn even more extra credits to win!! Click here to see guidelines and the official rules. Contest will end on March 5th, 2009 at 11:59 PM CST. GOOD LUCK! Valentine's Day isn't over yet....Electrolux Love sent~and chance to win! It is definitely the month of Love! Electrolux has teamed up with one of America's favorite moms, Kelly Ripa, to spread a little love via a charitable social media campaign. 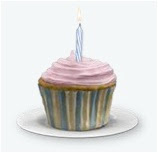 On the Electrolux Web site, you can create and send a unique virtual cupcake to friends and family during February. I had a fun time creating a delicious looking (and sounding) cupcake, and sending it to a few friends. I made a peanut butter cake, in a lavender foil, with lavender frosting, chocolate drizzle frosting, and peanut butter cups on top. No, it isn't calorie free, but it is for a great cause! For every cupcake sent, Electrolux will donate $1 to the Ovarian Cancer Research Fund (OCRF) as part of their half million dollar commitment to help support this worthy cause. Which means each virtual cupcake will go a long way. What's more, everyone who logs on and sends a cupcake will be entered for a chance to win the newest front-load Washer & Dryer (an estimated $3,600 value) from Electrolux, the appliance brand used throughout fine homes in Europe for 80 years. Talk about a great cause all around! Kelly Ripa also designed a custom "Wear Your Heart on Your Sleeve" T-shirt, the perfect Valentine's gift for friends and family, with 100% of the proceeds benefiting OCRF (also available on electroluxappliances.com). This contest started on February 10 and will end on the 28th of February! So, hurry over there, support a great cause, and get your chance in to win the washer and dryer from Electrolux! I am a big time fan of Chinese food, and I am a sucker for egg rolls. I have purchased egg rolls from the store, and baked them in the oven. They are tasty, but it doesn't measure up to the restaurants egg rolls. The egg rolls just don't have the crunchy texture like at the restaurants. One main reason is I don't have a deep fryer. I was very impressed with the Kahiki Foods egg rolls, though. With these delicious egg rolls, you just pop them in the microwave. They are packaged in a special wrap, that when microwaved, makes them crunchy. I don't have to cook them in a deep fryer, add the extra calories and fat because of the deep fryer, yet I can enjoy the crunchy texture. The egg rolls from Kahiki foods are only 70-100 calories each. I really like that I can understand and read all of the ingredients of the egg rolls. For instance the Chicken egg rolls consist of these ingredients: cabbage, cooked white meat chicken, carrots, salt, sugar, vegetable oil (soybean, corn, and/or sunflower oil), sesame oil, eggs, spices, yeast extract. Wrapper:wheat flour, water, salt, wheat gluten, ascorbic acid, citric acid, corn starch, vegetable oil (soybean, corn, and/or sunflower oil). Sauce: water, sugar, distilled and/or wine vinegar, pineapple juice concentrate, cornstarch, natural extractive of paprika, hot sauce (cayenne red pepper, vinegar, salt, garlic powder), xanthangum, garlic, ginger, natural flavors, natural beta carotene. These egg rolls are great tasting (a little peppery) and not bad for health-wise either. They are quick to prepare, and really quick to eat. :) Kahiki Foods have 3 different selections of egg rolls: Pork & Shrimp, Chicken, and Vegetable. The packages sell with 3 in each one. I really enjoyed the Kahiki Foods egg rolls, and I know they will be on our future grocery lists. Our visionary founder, Michael Tsao, believed that every American should experience the food and culture of the Kahiki. He wanted to take Kahiki to the masses and do it in the freshest way possible. Because frozen food is immediately frozen after it is prepared, he believed this was the best path. We have continued that vision in everything we do. Today, Kahiki Foods produces over 70 products that can be found in retail grocery stores, membership warehouse clubs, convenience stores, and foodservice operations. Kahiki products have become so popular that the Kahiki kitchen has expanded to a 119,000 square foot state-of-the-art facility! Our year-over-year growth has been consistent and significant. In an industry that grows between 3-4%*, Kahiki grew 22%, respectively for fiscal 2005 and fiscal 2006. Our customer commitment is simple: serve the highest quality foods made from the freshest ingredients. Authentic, convenient, great tasting foods –this is what Kahiki symbolizes. And we never add MSG to our foods. Kahiki is committed to protecting our environment and contributing to recycling it after we use it. We even recycle our cooking oil through local farmers who in turn the oil into bio-diesel fuel. We also believe strongly in supporting our community through our support of causes such as the Stephanie Spielman Breast Cancer Research Fund at the James Cancer Hospital. There is something so special about homemade products and gifts. I remember when I was younger, my mom used to make matching night gowns for my dolly and me. It is one of my favorite memories. She also used to make me dolly clothes~ even for my barbies! Sadly, I think home made has been kind of neglected over the years. I would love to start making home made clothes for my daughter like my mom did for me. YouCanMakeThis.com was created by a mom who wanted to provide downloadable instructions on how to make just about anything from children's boutique clothing and jewelry, to handbags, home decor and more. What makes the site unique is that these instructions are written by everyday moms who have an expertise in an area. They are written in a way that makes you feel you have a friend sitting right next to you, telling you what to do next. They all have detailed instructions and step-by-step full-color photos so even the most "craft-challenged" person can make these items for their homes and families. In fact, if you'd like to try out some products for free, you can sign up for their FREE newsletter. After sign-up, you'll receive a link to your email inbox asking you to confirm subscription. Simply click on that link, and you'll receive all of these product instructions pictured here, plus an online video and digital scrapbooking frames. Would you like to win a $50 bundle of even more DIY instructions? Check out YouCanMakeThis.com and come back and post something you'd like to learn how to make. You can learn how to make a Child/Adult Apron Set, Women's Reversible Wrap Skirt, The "She Loves Me, She Loves Me KNOT" Handbag, The Reversible Patchwork Bucket Hat, Easy-Fit Pants, and Boys Ties. Remember, even if you've never sewn before, the site believes that you REALLY CAN make these things! This contest is open to all readers living in the Continental United States. To get your first entry, do what I stated above. Then, you may come back each day and enter (again) after you do the first rule, just tweet about this giveaway and leave the url in your comment AND/OR Click here to see how you can earn even more extra credits to win!! Click here to see guidelines and the official rules. Contest will end on February 24, 2009 at 11:59 PM CST. GOOD LUCK! Well, it's that time of year again...or just right around the corner. Rain, sleet, and lots of slushy mess! One of my biggest pet peeves when I am driving, is not being able to see because my wiper blades aren't working right. It always seems to be the driver's side that is messed up, too! Rain-X and Jody DeVere, the President of the Women’s Automotive Association International and CEO of the auto-advice site AskPatty.com suggests using Groundhog Day as an annual reminder for you to change your wiper blades. Clear visibility while driving is extremely important and can improve reaction times in poor weather conditions. In fact, according to a report released in June 2008 by sciencedaily.com, nearly a quarter of all automobile accidents occur in rainy and wet weather so making sure you have properly working wiper blades is important to help avoid accidents in poor weather conditions. By routinely checking your wiper blades and performing safety checks on your car you can help increase your safety while driving during inclement weather. Since winter is not quite over yet here are some tips from Jody DeVere to stay safe while driving in the rain, snow, slush and ice:• Conduct a regular walk around checking your lights, antifreeze, windshield washer fluid and wiper blades regularly• Ensure your tires are properly inflated and have sufficient tread• As the temperature drops keep your gas tank at least half full; the extra gas reduces condensation that can plug your fuel line with ice and stall your engine in cooler weather• Create an emergency pack; items like a blanket, first aid kit, snacks, bottled water, an ice scraper, flashlight and a bag of kitty litter. I received a set of Rain-X Latitude Wiper Blades, a bottle of Rain-X X-treme Clean glass and plastic renew-er, and a bottle of Rain-X Weatherbeater 2-in-1 Glass Cleaner + Rain Repellent to review for MyBlogSpark. I was very excited to be on this blog spark because it is something I totally believe in~clean windows for driving! Rain-X Latitude Wiper Blades are designed to provide “ultimate visibility” to help provide a little more peace of mind when driving in bad weather. Rain-X Latitude Wiper blades are easy to install and easy to use. Rain-X wipers provide great visibility and don’t leave streaks behind. They don’t seem to be affected by the cold from what I can tell. I am looking forward to using them when it starts warming up even more. We just got through days of rain, and I didn't have them installed yet. They will be so helpful! My mother-in-law has these on her car and loves them. She said there really isn't any better option for your windshields. Do you want to try the Rain-X Latitude Wiper Blades? They are sold at major retailers across the country. Visit the Rain-X website for a retailer locator based upon whether or not you will install them yourself! Before you buy though, check out their promotions page for some cool rebates. Want to enter to win? I have a Rain-X Car Care Kit to give away to one of my readers! Here is what you will win: 1 set of Rain-X Latitude (for your make and model of car), a bottle of Rain-X X-treme Clean glass and plastic renew-er, and a bottle of Rain-X Weatherbeater 2-in-1 Glass Cleaner + Rain Repellent. This contest is open to all readers living in the Continental United States. To get your first entry, visit the Rain-X site and take a look around. Come back here and leave a comment with your make/model/year of your vehicle and tell me how often you change your wiper blades! If you do not do the first required entry, you will be disqualified. You may come back each day and enter (again) after you do the first rule, just tweet about this giveaway and leave the url in your comment OR Click here to see how you can earn even more extra credits to win!! Click here to see guidelines and the official rules. Contest will end on February 24, 2009 at 11:59 PM CST. GOOD LUCK!